The National Association of Psychometrists (NAP) is a non-profit professional organization dedicated to achieving excellence in psychometry. Our charter is to establish a communications network, provide venues for professional networking, and promote the psychometry profession as a whole. Membership is open to psychology students and professional psychometrists. Login to access the discussion board, job opportunities, member directory, CEU opportunities, and other professional resources. 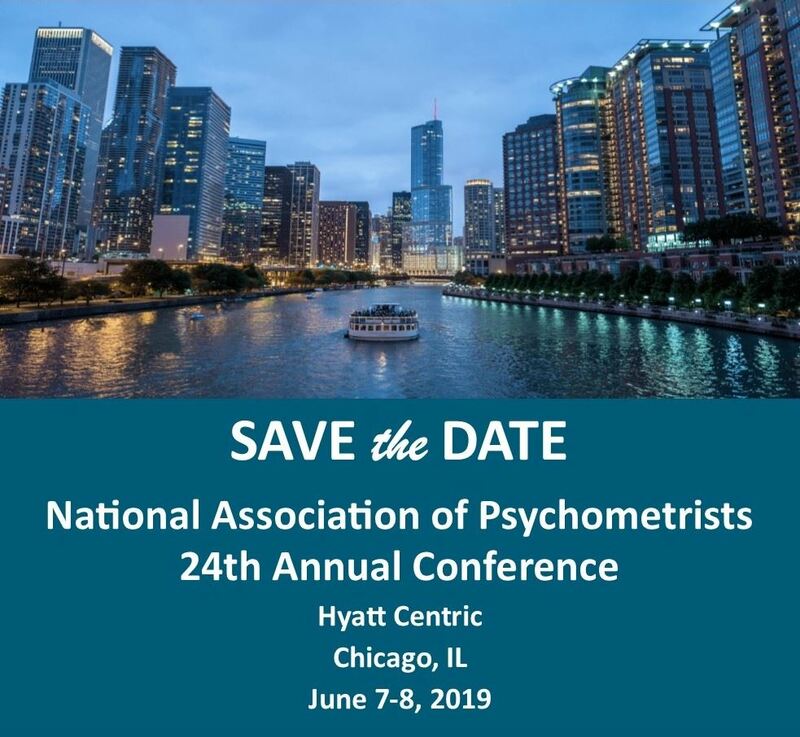 Registration is open for our 2019 conference. Visit the conference webpage for details, to register, and to apply for a registration scholarship. Make the most of your NAP membership and give back to your profession by volunteering on a committee or joining the Board of Directors. Support of professional development efforts are always a great benefit to Psychometrists. Sponsoring a staff members NAP membership and attendance at our conference are great ways to encourage their continuing education, which will be of benefit to your organization. For more information, click below. Showcase yourself and your organization by presenting at our annual conference (coinciding with AACN). For more information about speaking, click here. Submit a job opportunity to be listed for free on our members-only career opportunities page. Review article published by The Clinical Neuropsychologist regarding psychometrist practices and salary.